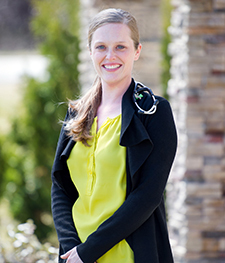 Dr. Sara Arnold was born and raised just outside of Richmond, VA. She attended the University of Virginia for her undergraduate degree in biology. She received her DVM from The Virginia – Maryland Regional College of Veterinary Medicine in 2009. Sara then moved to Knoxville, Tennessee for a rotating internship in small animal medicine and surgery at the University of Tennessee. She stayed on at the university for an additional 3-year residency in small animal internal medicine. During her residency, she developed an interest in infectious and immune mediated disease but her true passion has become client communication. Making medical decisions in your pet’s time of need can often be overwhelming. Sara hopes to make a difference in the lives of her patients and their families by making these complicated medical issues more accessible. Sara joined Upstate Veterinary Specialties in 2013 and in 2014 she became board certified by the American College of Veterinary Internal Medicine. In her spare time, she enjoys cooking, crochet, backpacking and snuggling on the couch with her two corgis.